Groove Studios "Victoria's Source for Drum Lessons." 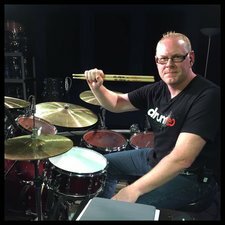 Murray is the Author of 5 Instructional Drum Books. He has played with Fine Tooth Combine, Triple Sow Cow, Camille Miller, Thin King, Fast Jacket, Vince Vacarro, The Kings of Discontent and is currently with Justin Hewitt and the Temps.